The undead are everywhere. They’re prominently featured in books, television and movies, and now they can be on your feet. 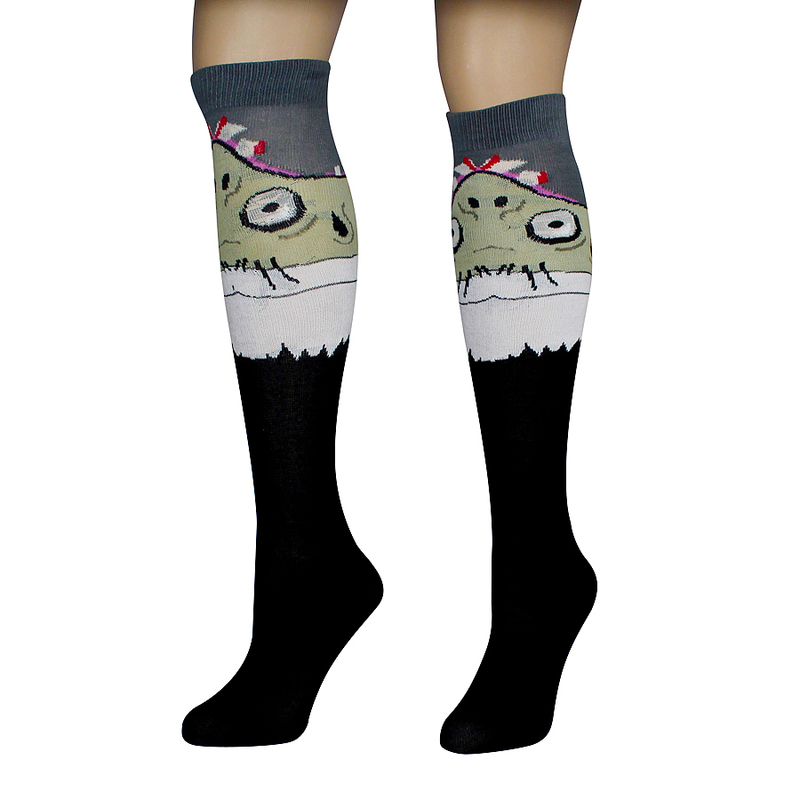 This is the only time a zombie can be nipping at your heels and you don’t have to worry about becoming one yourself. 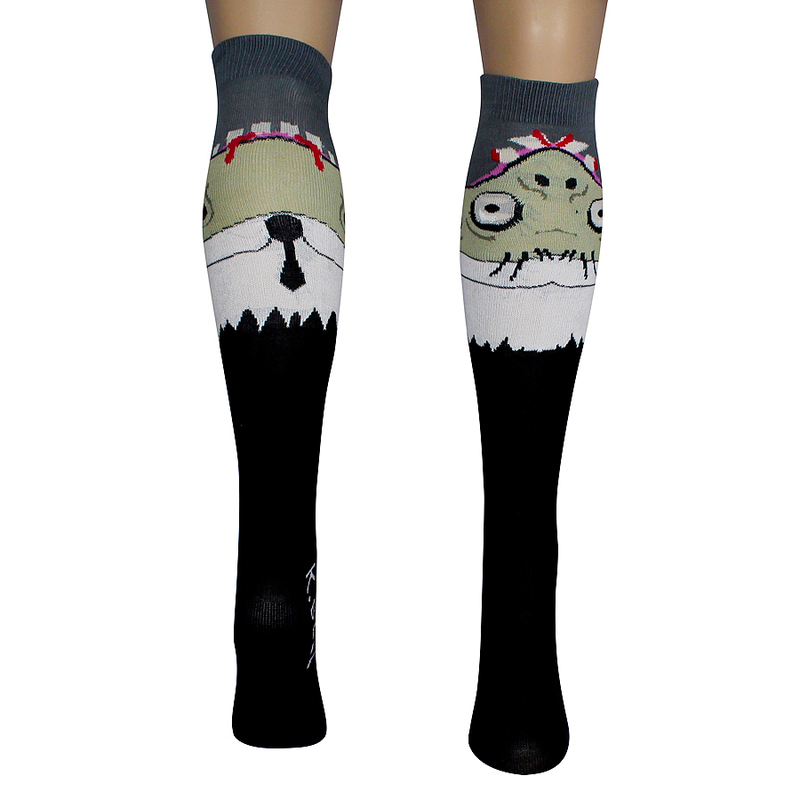 Zombie Bite Socks don’t bite, and instead provide a great fashion statement. 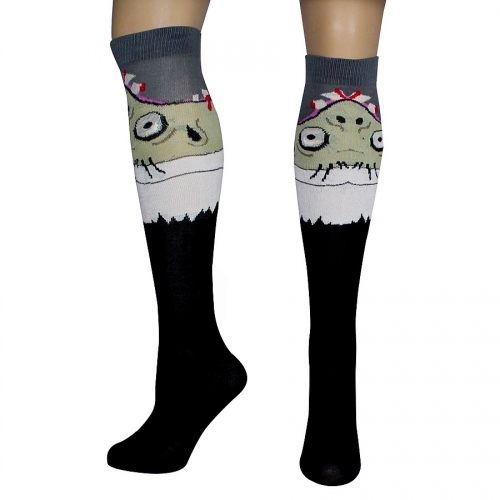 Everyone loves a zombie, and you can keep these contagious little corpses forever on your tail with these awesome looking socks. Supply of water, food and katana blade not provided, but then again there’ll never be a zombie apocalypse…or will there? 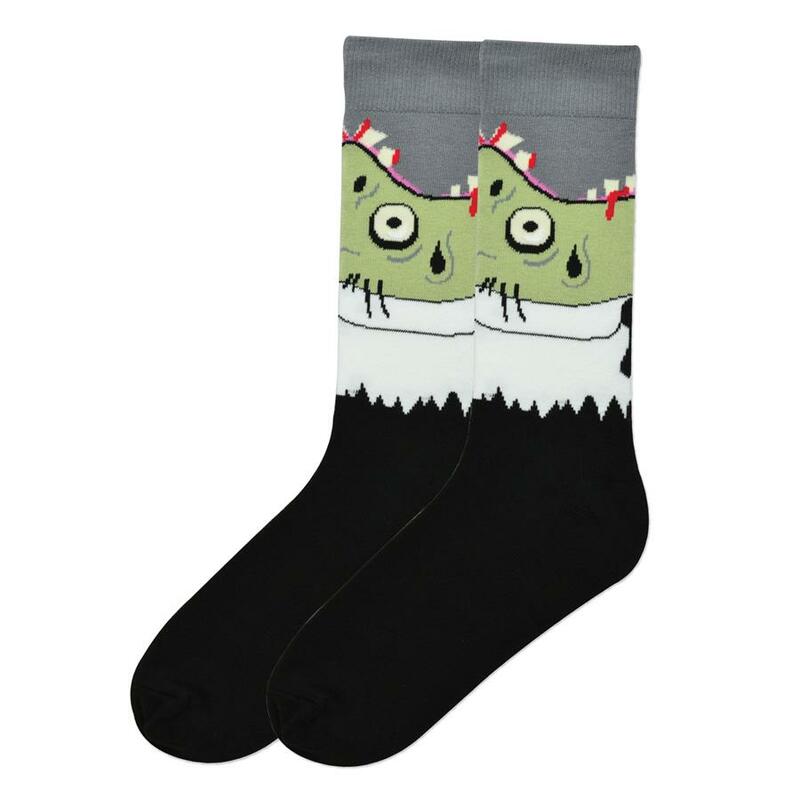 Zombie Bite Socks are made with a cozy blend of 70% Pima Cotton, 28% Polyester, and 2% Spandex.